Nazareth House Apostolate, its values, principles and purpose remain the same and by the Grace of God, that will never change. What has changed is location, both in the USA and Sierra Leone. We've made room for growth - spiritually and physically. In November 2010, against all odds, Nazareth House Apostolate was blessed with the acquiring of the property in Taylorsville, Kentucky which is now St. Simeon Skete. I say, "against all odds" because realistically it seemed impossible that an idea that was first dreamed in 1954 would ever begin to take shape and form. 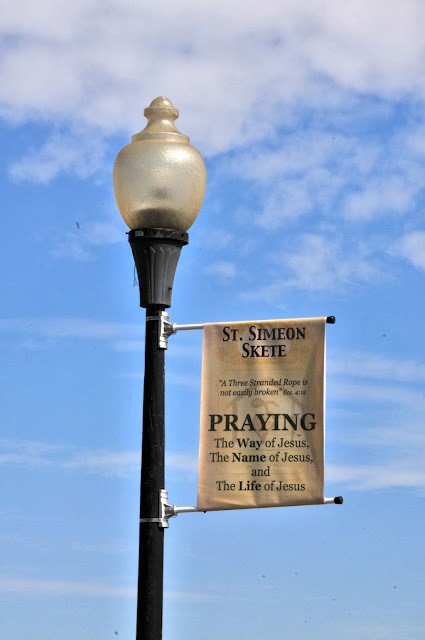 St. Simeon Skete is the heart of Nazareth House Apostolate. 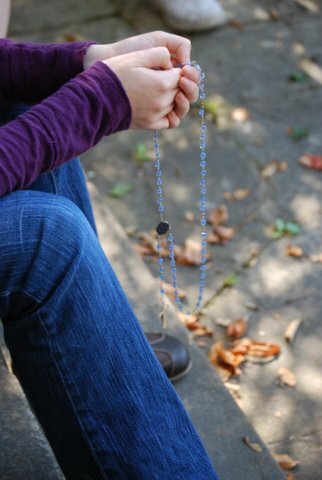 Through prayer, life is circulated into Nazareth House's being. It is that prayer that breathed the outreach program of Sierra Leone into existence. 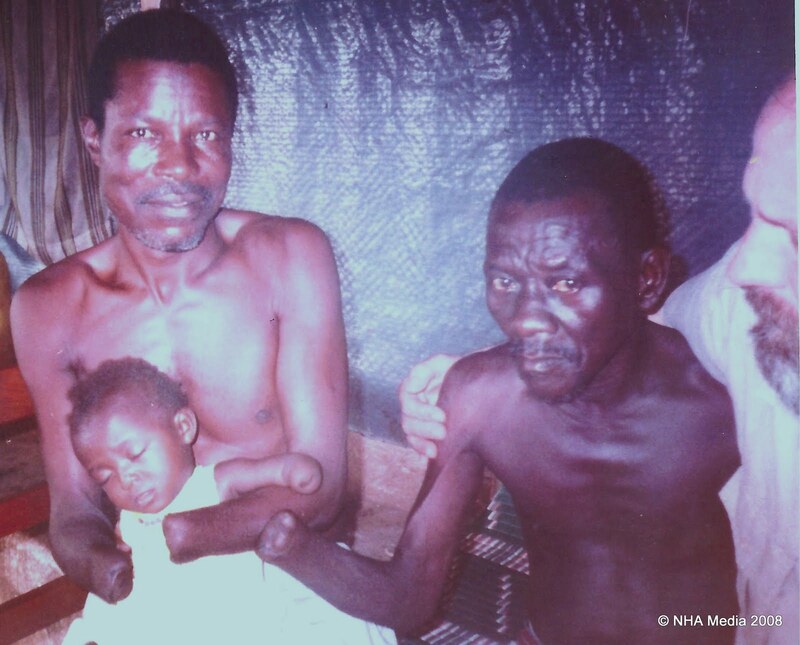 At the end of 1999/2000, it was thought that the Skete would rise up in Sierra Leone. It was our idea that a House of Nazareth would be established with strugglers living the life of prayer, hidden away - praying for the world. It is important in a troubled world that there are those who benefit the world by consistent prayer - prayer without ceasing. 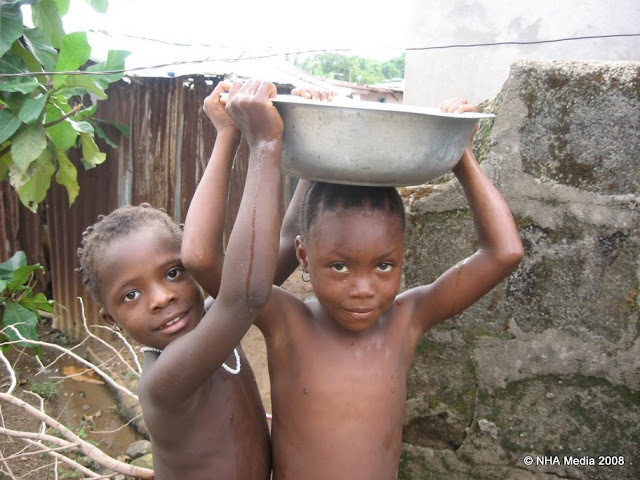 As Seraphim bathed Sierra Leone in prayer - the needs of the oppressed and poverty stricken people pressed hard on us and our work began to take shape as a humanitarian mission. 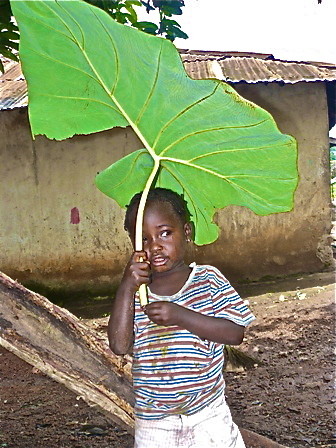 Life in Sierra Leone was spinning very erratically during and after the war. You would progress one step forward and be shoved three steps back. Seraphim maintaining the prayer and I the outreach, the work in Sierra Leone began to develop. 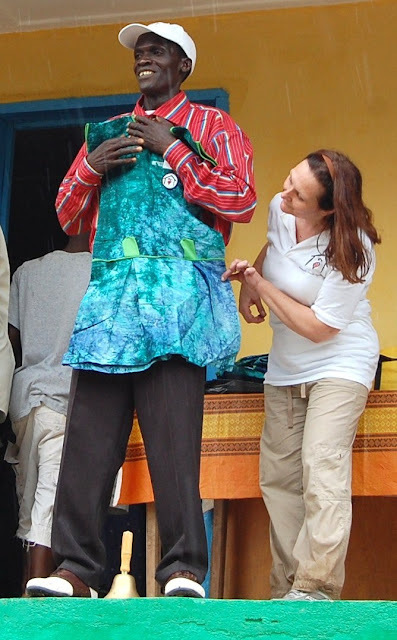 With the addition of James Mansaray as "on the ground staff " in Sierra Leone, the mission began to rise to the level of humanitarian aid that it is today. Though everything was begun and sustained in prayer, it was obvious that a skete would not take hold in this area. 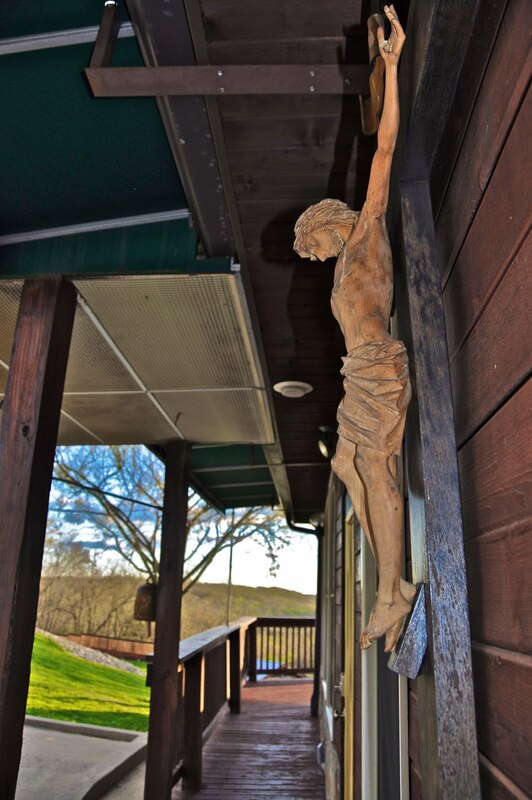 This was bitter-sweet for Nazareth House as we knew the most important thing to establish was the Skete. Without that physical determined place of ongoing prayer we were operating with clogged arteries as the heart in which the prayer resides was being restricted. God works through disappointment and adversity. As we left our passions for the Skete rolling behind, we administered to the needs that were placed in front of us. and is fully operational with 6 teachers and Pa Foday as the supervisor. You have only to scroll through the previous posts of this blog to see all that has been and continues to be accomplished. 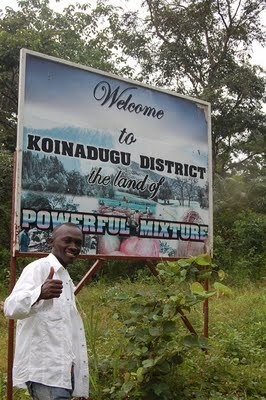 The future was and is bright for much more work to be completed in Sierra Leone. Sometimes the path is not directly visible, grass grows up over it or rains wash it way. God had us in Sierra Leone, with or without the a physical place of prayer, we do our work. The commitment to the Skete never left us, instead it grew and grew within us. Heart disease can be silent and masquerade itself. You aren't aware of the problem until exertion finally begins to bring awareness that something is going on. Nazareth House continued to do its work in Sierra Leone, gathering more supporters and expanding its ability to meet needs. Lives are being changed for the better, children (many children) are being educated, medication is being received where otherwise there was none. A win, win situation it all seemed. We should've all been elated, but instead we felt we were wading against the tide. Something just wasn't right. During a mission trip to Sierra Leone, November 2009, we realized that Freetown was no longer conducive to our work in Sierra Leone. The attitude of the city, always aggressive, has now become more so. Prices were rising and rental property is quickly becoming cost prohibitive. Development and Tourism is geared towards the "party scene" with disco/nightclubs, casinos and high rise elite hotels springing up along the beaches. Gone were the relaxing family style beach restaurants and quaint little thatch hut bars. Development has its price. Things were changing. 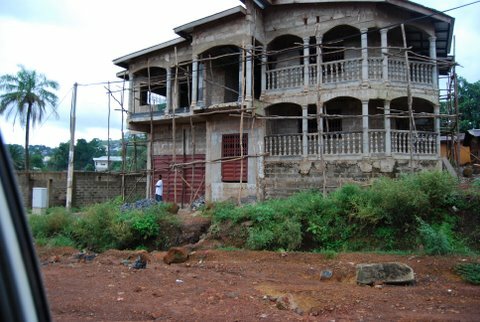 It is imperative for our work in Sierra Leone for NHA to own our own property and compound. Every organization doing the type of work that we do has its center of operation. Housing of your staff (who sacrifice much to bring aid to the sick, the hungry, the lonely, the dying), storing of your supplies which include valuable medicine - this is very important and necessary for the carrying out of the work. 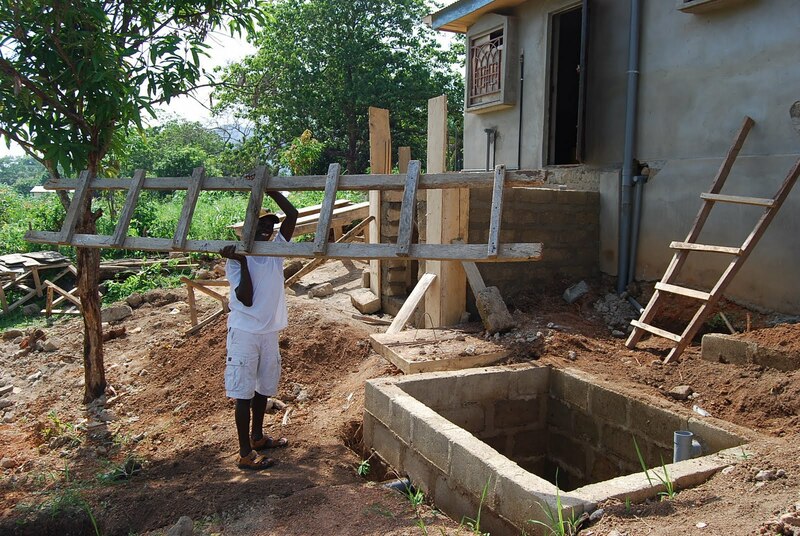 In March 2010 as we returned to Sierra Leone and made our way to visit the NHA School in Kabala we were presented with a structure under construction that fit all the basic requirements we were interested in for our compound. We hadn't considered Kabala as the place for the Compound but once presented, it didn't take a rocket scientist to realize it was perfect! The structure is right across from our NHA School, just a little dirt path between them. The needs and our work have been bringing NHA more and more into the remote villages around Kabala. 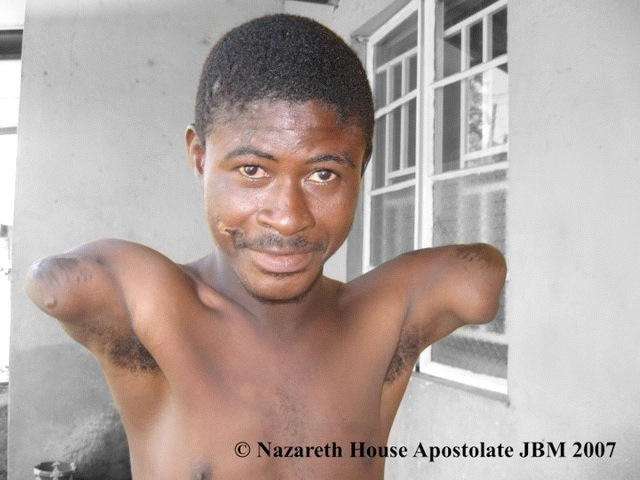 By centering NHA in Kabala, James would be living and working in the area that we serve. No more long drives in rented vehicles that break down 3-4 times each way. NHA had finally found a permanent home in Sierra Leone. We negotiated with the contractor, Anthony, a good, honest, God-fearing man. We prayed with him and it was soon settled. The commitment was made. Excited, I returned to United States, with the task of raising the funding to complete this new project. Despite the excitement over this accomplishment for the Sierra Leone work, the burning for the Skete - the heart of NHA - was radiating from within. As funding came in bit by bit for the compound, the builder hired workers and it looked as though the NHA Compound would see its completion very soon. Seraphim and I began to look for land in the USA for the Skete. Things seemed to be moving on. The economy in the USA continued to spiral downward and this began to have a negative effect on NHA. Our supporting data base continued to grow and we made our monthly expenses to feed the hungry and apply humanitarian aid to those in need - but extra for the compound began to suffer a bit. Our landlord in Freetown refused to renew our lease and different housing in Freetown was not an option - the cost was too much. Time was pushing harder. As Freetown was no longer viable for NHA to do their work, Louisville had proved the same results for USA side of NHA. The old building we owned was dilapidated and becoming more and more of a financial drain. Toxic Black mold had moved into the hermitage. Things have to change. As Kadijah suffered a few weeks prior, suddenly in July, Seraphim came down with a life threatening case of malaria. We thought he would not make it through the night. As I watched his irregular, raspy breathing, it all seemed to be slipping away. I called the a friend to let him know the situation. 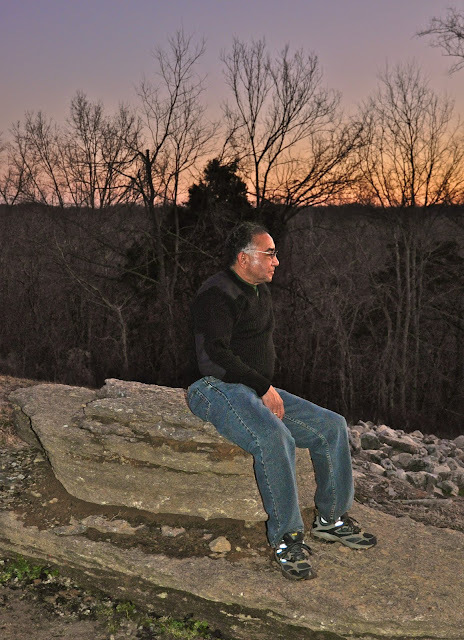 Seraphim was resigned, ready and willing to move on (as he always says "you can't scare me with heaven"). I put the friend on speaker phone and he and Seraphim talked. There was little strength in Seraphim's voice until something the friend said sparked some fire in Seraphim and he said (loudly) "I can make it until tomorrow morning". After that there were 6 weeks of recovery with many ups and downs, delirium, weakness and pain. It was during this time that the urgency for the Skete became louder and louder. It wasn't only Seraphim sick, Nazareth House was sick. In many instances, clogged arteries do not cause any symptoms until the heart attack or stroke occurs. Ignoring the call to build a place of ongoing prayer was not going to make it go away. 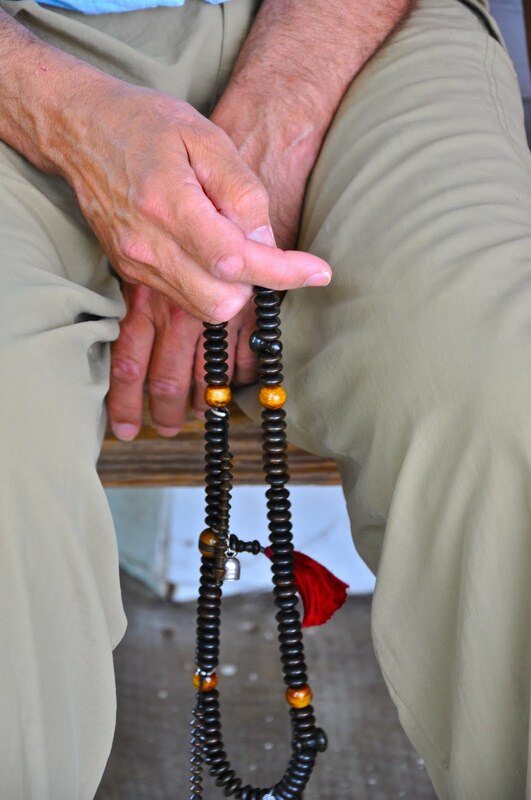 NHA was doing the work, both the spiritual and physical, that never stopped, but we were running full pace to give life, with a restrictive heart and TIME was pressing hard. It was time to stop and feel. In humanitarian work, as noble a work that it is, you cannot separate it from the prayer. The mission work must not be the focus it must be the prayer. THIS IS REAL. Mission work stems from prayer. A meeting with the Archbishop confirmed to us all that it was not prudent to delay the Skete any longer - but where should the Skete be located? We agreed in the USA ...but where? We returned to Louisville to look for some land. All of the property we looked at resulted in one frustration or another. There was a place in Taylorsville but we rejected the idea to view it, thinking it was just not right for the work. 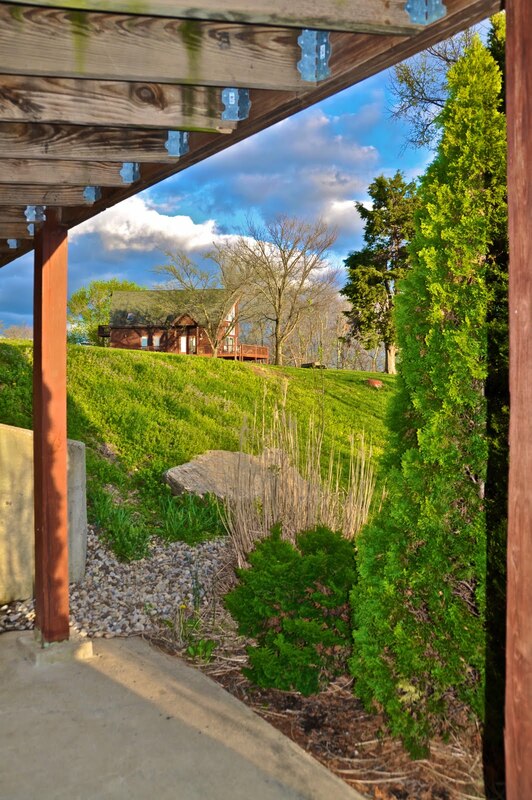 Finally, our realtor convinced us to look at the property and immediately we knew it was right. There was a special grace about it. 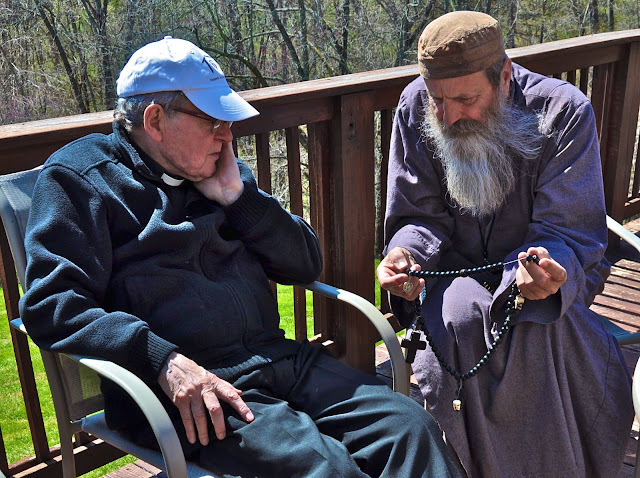 The acquisition of St. Simeon Skete wasn't easy - mortgages, loans - however, the blockages were cleared by assuring promises of support and help by the Archbishop and the heart of Nazareth House, the life of prayer, now beats in Taylorsville, Kentucky. St. Simeon Skete unifies our being, it makes Nazareth House Apostolate whole. We now have the Martha (outreach, humanitarian) and the Mary (being at the feet of Jesus). 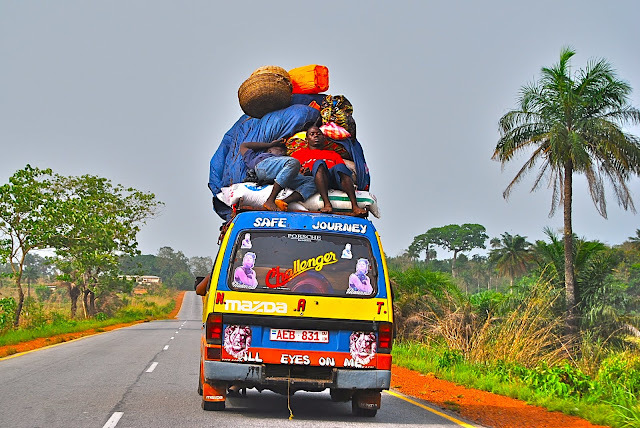 As we prepare for vocations to St. Simeon Skete, those that will come with a deep drive to sell all that they have, separate themselves from the world and come and worship Him; our outreach in Sierra Leone is experiencing an increased blood flow, as well. We haven't raised the money to completely pay for the NHA Compound in Kabala, we still owe $12,750 but we are getting there and new supporters are eager to be a part of such a good cause. We are striving to reach 1000 monthly donors giving $25 per month. With the Compound yet unfinished, James and Kadijah, threatened by the possibility of several months without a roof over their heads, living in the bush of Kabala, took steps in faith. Remembering that the sea didn't part until Moses actually stepped into the water; they decided to actually step out in faith and begin the move to Kabala - without any assurances - realizing that whatever may happen, God has given them what they need to handle the situation. and sent on their way to Kabala. The laborers at the Compound couldn't work around these items making it impossible to store them there. and we were able to store some of the bigger things in the classroom that was empty. was available for the couches and chairs to settle in since the tile floor has been installed. At this point, James is moving items, making the long trips back and forth from Freetown to Kabala. Kadijah and the children remain at the old St. Laurence House, sleeping on the floor until the last possible moment when the landlord gives the final word to leave. The contractor continues to complete the building with every cent we send him. We've come a long way, there have been many changes - all for the better. As I close this blog post for today, James has just sent me a photo a young child that he met on the way to Kabala. The boy is exceedingly proud to have caught dinner for his family. A dinner most of us would be repulsed to have placed in front of us. As we look at the light in his eyes, (the joy), I pray that it is reflected in ours.